Why does a cold winter for the upper midwest and northeast automatically equate to a global phenomenon or historic event? Climate activists on both sides of the table are grabbing at exaggerated explanations, but how well-founded are their claims? For those of you who follow this blog, you know I don't use it as a platform on climate change. While of course I have my take on the whole thing, as everyone does, arguments from both sides of the debate can be equally irresponsible and inaccurate at times. Fact. False. Despite how it might sound in the media (and social media), it hasn't been cold everywhere this winter. 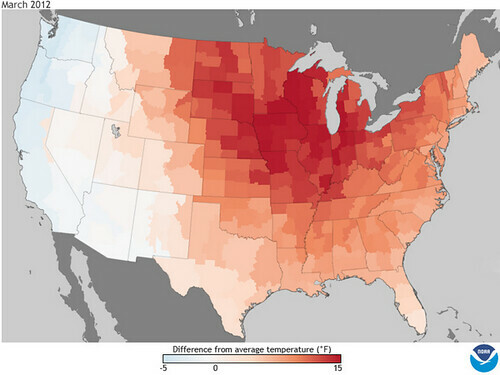 Where it has been cold, it hasn't necessarily been extremely cold, the exception being the Great Lakes region. The temperature anomaly in this region was an impressive -4 to -6 C from December through February, while much of California was +3 to +6 C for the same period. Let's not forget that 38 million people live in California, and they likely wondered where their "cold winter" was that everyone was talking about. Consider this: when winter comes to an end later this week, it likely will not rank in the top 10 coldest U.S. winters on record. In fact, preliminary numbers put it somewhere in the 30s for coldest winters on record. Winter 2013/2014 brought the Polar Vortex. Not only scary, but NEW! False. Despite the obsession with this phrase, the Polar Vortex is not new. In fact, it's not really what Twitter says it is either. This might come as a startling fact for some, but arctic cold fronts are nothing new, and those in the midwest (though not all years) are no strangers to minus double digit temperatures for extended periods of time. It could be that the last two winters being well above average across the eastern two-thirds of the country have us less acclimated to the cold. 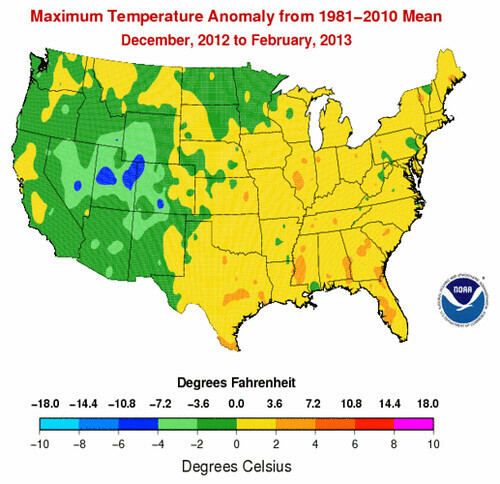 The last time December / January / February ran below normal here was 2010/11. False. This hasty generalization irrelevantly asserts that if one thing has a certain quality, then everything else must share that quality. Lucky for us, the climate doesn't adhere to guilt by association. Amusingly, this argument would have us believe that locales with warm and windy weather are evidence in support of climate change. A particularly snowy snowstorm, or a bitterly cold winter, does not prove by any stretch of the imagination that climate change is in fact a great hoax, nor does a hot day prove that it's true. Can these events be exacerbated by a changing climate? Sure. But proof in one direction or another -- no thank you. Let's all remind ourselves the definition of climate. When scientists talk about climate, they're looking at averages of precipitation, temperature, humidity, sunshine, wind velocity, phenomena such as fog, frost, and hail storms, and other measures of the weather that occur over a long period in a particular place. 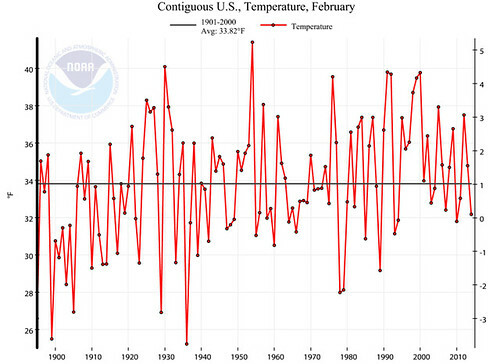 Climate change isn't decided by, nor calculated by how warm or cold it gets in any given year, season, month, or day. When it comes to one cold winter season, let alone a particular storm, it is rather irrelevant whether or not we are entering a cooling phase, or whether the climate scientists (at large) are hugely wrong in the effects of human caused climate change. Have we already forgotten March 2012? That was just two short years ago. 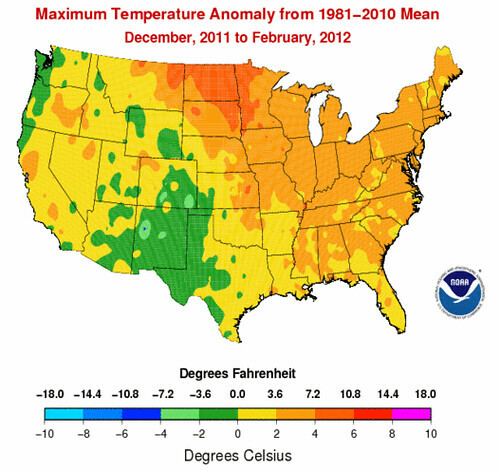 Weather normals, whether they are temperature or precipitation are made up of weather extremes. How often is the temperature on any given day exactly normal, or precipitation for a month average? Temperature extremes have always been the name of the game during the winter. Those familiar with downslope winds know that 70 degrees in February is nothing to be concerned about. The same too should be true for arctic invasions, especially for a country sharing a border with Canada. 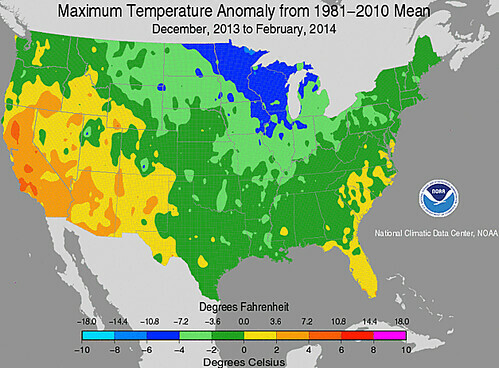 The cold eastern United States was actually the exception to the rule this winter. While the eastern two-thirds of the United States experienced cold winter blast after winter blast, much of the rest of the world experienced temperatures well above normal. 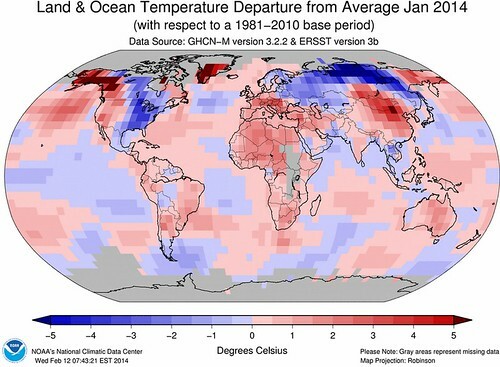 Land temperature anomalies for January 2014 globally were +1.17 C, the 4th warmest in 135 years of record keeping. If you're less inclined to care about the global pattern, I guess that's fair. The problem is, you don't have to care about it in order to realize the "widespread cold and snow" the United States experienced this winter really wasn't even true for about 15 of those states, or roughly 25% of the country's population. Factor in the states at only 1 to 3 degrees below normal from December through February, and it's a completely different discussion altogether. Luckily for the Colorado locals, our mountains had a pretty good winter as is often the case when Denver sees below normal snowfall (see 2010). The same cannot be said about our friends to the west this year, particularly California. As we've blogged on multiple occasions this winter, the drought in California is bad, and getting worse. While the United States was suffering through it's coldest winter in forever, its most populated state, California, was experiencing its driest winter on record. The state has also experienced its warmest winter on record, with the average temperature between December and February from +2 to +6 degrees above normal statewide. While it can be frustrating that the conversation has such a bias toward the eastern two-thirds of the country, more than that it makes little sense to me that we have made such an extraordinary spectacle of this cold winter. Lost in the conversation is the really desperate situation in California, the persistent drought across portions of Colorado, Texas, Kansas, and Oklahoma, and global weather story: warmth. Let's remember, just for a minute, that it's supposed to get cold during the winter in the northern hemisphere. It may come as a surprise to some, but not all that many all-time temperature records were even broken this winter. According to the National Climatic Data Center, over the last 365 days, 76 all time record high maximums were set, while just 11 all time record low minimums. Pretty remarkable given the Polar Vortex wild card, now isn't it? It snowed again this week in the mid-Atlantic, which has many wondering if summer will ever come. I can assure you, it will. Despite our antsy anticipation this time of year, the calendar still says it's winter (spring begins Thursday), and while this latest storm was certainly out of the ordinary, it was was by no means unheard of. It can snow pretty far south this time of year, especially with a pattern such as the current one. The dominant pattern looks active through the period across the northeast. For a part of the country clearly done with winter -- it looks like Mother Nature may have a few more tricks up her sleeve before this thing finally breaks. While the calendar may say spring comes Thursday, winter may not end this week for the northeast, err. . . the United States.